Last Friday, somebody in the office had a little feast and there were yummy cupcakes. I was fortunate to get one, it was like a small heaven. Then on Sunday, as usual, we dropped by INGEN and bought a chocolate mango cake (not sure if that’s what it’s called) and 2 cupcakes. I was pretty disappointed though, it wasn’t as yummy as the other two I had before, the icing was rock hard. Meh. Next time, I want to try one from the cafes! Previous PostShopping online is amazing! Ano yung INGEN? Gusto ko itry yung chocolate mango cake! I love mangoooo! Hahaha. Try mo Sophie’s Mom! 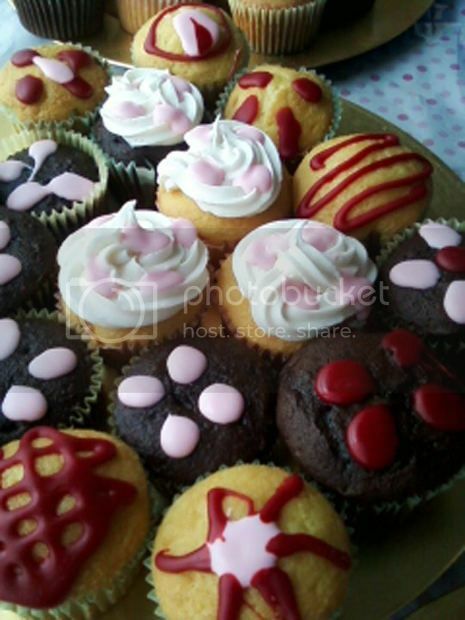 Sarap din ng cakes and cupcakes nila dun. :)) Meron yung sa Megamall, alam ko. Hehe.